Dr. Dennis Becker is board-certified in Internal Medicine, Endocrinology, Diabetes and Metabolism. He has been in clinical practice ever since he founded Raleigh Endocrine Associates in 1977. The reviews listed below were collected independently of Raleigh Endocrine Associates through rater8. Each review represents an authentic and verified patient experience. Dr. Becker has consistently provided excellent care. He takes the time to listen and makes recommendations based on what we hytalked about. I was only there for a shot. It all went very quickly. Dr. Becker really takes his time with his patients and eases their concerns while answering all their questions. I am so grateful for Dr. Becker. He is very professional and makes sure you are aware about your full care. Dr.Becker will always greet you with a handshake and smile. Very knowledgeable, patient and responsive. I like the way he explains things. Dr. Becker is kind and light hearted with a great bedside manner. He listens and addresses to all of my concerns each visit. He’s knowledgeable and up to date on issues and treatments and I highly recommend him. With just a little tweeting of my medicine, lab test came back Great. 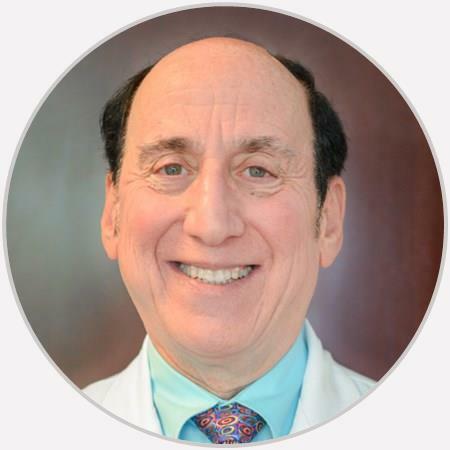 Dr. Denis Becker trained at Rutgers University, University of Kentucky College of Medicine, Cleveland Clinic, and the University of North Carolina School of Medicine. He is board-certified in Internal Medicine, Endocrinology, Diabetes and Metabolism. He has been a Clinical Associate Professor in the Division of Endocrinology, UNC School of Medicine, and is currently an Associate Consulting Professor of Medicine at Duke University Medical Center. Upon completing training, Dr. Becker founded Raleigh Endocrine Associates in 1977, and has been in clinical practice ever since. Dr. Becker has been active in the medical community, is on the medical staff of all area hospitals and is Medical Director of the Diabetes Center, Duke Raleigh Hospital. He is past-president of the Medical Staff at Duke Raleigh Hospital and Chairman of the Board of Trustees. He is past-president of each of the following: Wake County Medical Society, Raleigh Society of Internal Medicine, and American Diabetes Association, North Carolina Affiliate. He is the founding-president of the North and South Carolina Endocrine Society and the Carolinas (North and South) Chapter of the American Association of Clinical Endocrinologists. He is a member of the Endocrine Society, the American Thyroid Association, and the American Diabetes Association. He has been honored to be awarded Fellow of the American College of Physicians and Fellow of the American College of Endocrinology. Dr. Becker has been honored a “Top Physician” and “Best Doctor” in annual national surveys of physicians and patients, 2002 through 2011. He is widely published and travels throughout the United States lecturing on endocrine subjects such as thyroid disease, diabetes mellitus, osteoporosis, and male hypogonadism. His areas of clinical research are in diabetes mellitus, osteoporosis, male hypogonadism, and adult growth hormone deficiency.